The digital trends landscape has been changing, especially during 2015. We’ve seen social media affect the marketing industry like never before. The challenges of virtual branding seem to encompass a bigger, but diverse audience who are less interested in devoting time to just one social platform. This trend has created a competitive online environment filled with an increasing amount of more competitive marketing strategies. A recent study reveals that one-quarter of the world’s population uses social media. Because of this fact, brands have to be savvy and up-to-date with the latest developments, to stay ahead of the game. 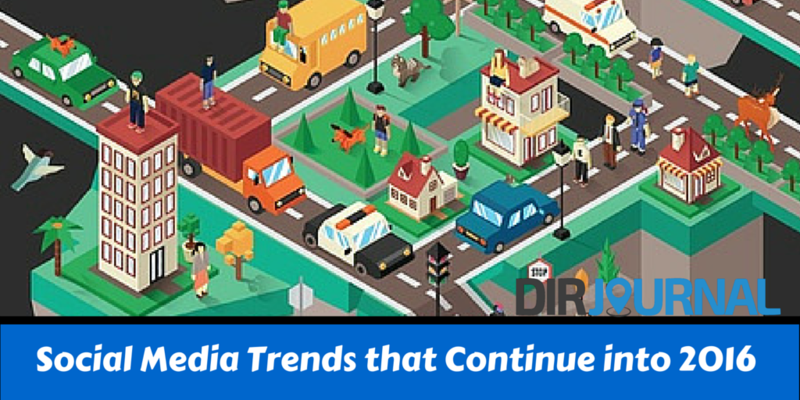 These efforts have resulted in the following dominant trends of 2015. Social Commerce gained increased attention in 2014. It had been around longer than that, in some form or another. However, we started to see some major changes that affected consumer economics and purchasing. Does the use of Twitter Product Cards ring a bell? These were only part of an innovative campaign used by many businesses to create a consistent customer experience across email, social, and offline platforms. Network-driven sales are rising in value as businesses start to understand the value of social media awareness and its place as a driving force in consumer behavior. One only has to look at sites like Pinterest to understand the value of social media when it comes to advertisement. Sales resulting from Pinterest browsers say a lot about the effective marketing potential of social media, as a whole. Another trend born in 2014, the “Omnichannel Social Advertisements” trend is slated to get even bigger over 2016. In addition to integrated social advertising channels, one can expect to see innovative new methods of integrating social advertising with omnichannel strategies meant to dominate several markets across several platforms. This is good news for businesses that got in on the social media integrated advertising boat early: the better integrated with your other marketing resources, the more effective your social advertising will be, in the long run. Mobile is dominating the digital market right now. This platform seems to be more effective than any other channel, with brands focused on creating a compelling purchase experience (in spite of small screens). The development of push notifications or in-app product recommendations are seen to be gaining popularity in any social media marketing scheme. There is currently a rather large worldwide mobile audience, so major social networks are constantly innovating their mobile presence. In the year 2016, an optimized and geo-targeted web and social media advertising experience should become the norm (if it isn’t considered the norm already). Agile marketing is going viral. Companies with relevant content can take advantage of good timing and reactions based on current trends. This is basically the genius of the hashtag. Agile marketing is real-time marketing that is happening on a small scale platform. In 2016 it will lead to the monitoring of trends that are happening in local and international markets. While this form of marketing can seem like the most casual of trends to the observer, it is actually food for the omnichannel marketing revolution that will continue to dominate markets on across 2016. There you have it. A few trends that began poking their heads up on the digital landscape even prior to 2015. Yet, these trends are gaining momentum and worth a look as we enter into 2016.